Last night, I went to an Eco Beauty Pamper Night at my uni in Bournemouth with my friend Nicole. 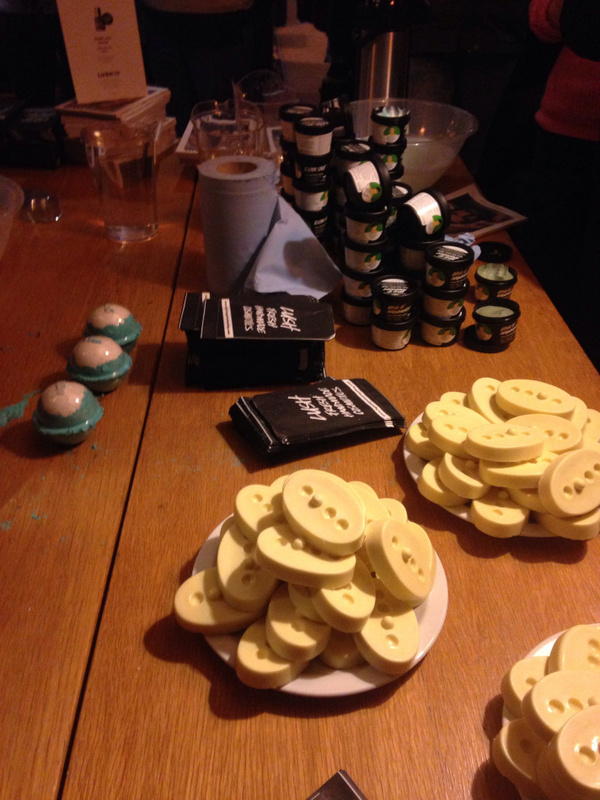 There were presentations on micro-beads and Lush cosmetics, along with some fun activities. It was such a fun night and I loved learning more about Lush, where they cultivate their products and the charities they have. I'm not the most eco person or that knowledgable about environmental issues, but once I heard about the eco beauty pamper night it took my interest. I love all things about beauty and am always interested in learning new things. Learning all about Lush cosmetics was really interesting, they only use fresh products and ensure that their staff are treated well. They make sure that all their employees are from fair trade organisations and work in good conditions. The people from Lush were lovely and were very passionate about their jobs. I got to make a bath bomb which was really cool, you put the two powder components in the mould and let it set over night. It smells incredible, I cannot wait to go home to Brighton to use it and be in bath heaven. They were also doing hand massages with the therapy bars, they are amazing for massaging into your skin and making it softer. The woman let me have two as they had loads there which was so kind. Lush had two face masks with them that we got to try out on our hands to see what they are like. They had Ocean Salt and Mask of Magnaminty, I had already tried the latter so I went for the Ocean Salt face mask. 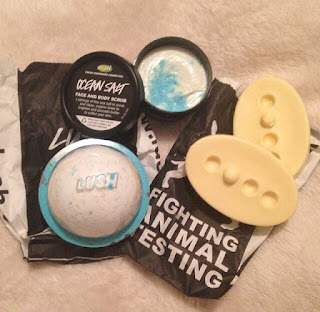 Lush were fantastic and so generous, I loved all the little goodies I got and am beyond grateful. I cannot wait to do a full review on the Ocean Salt mask and it smells so good, it looks like it will be really good at getting rid of impurities and dirt. It was an amazing event, it was interesting, educational and fun. I had a lovely evening and cannot wait to try all my goodies out.